Quest of Life Media & Broadcast is out of funds. Our Website has been suspended due to funds owed, QLRadio will be shut down in the coming week due to lack of funds. Phones/Internet/Mail Service all end in the next 10 days as well. We need approx. $1000 to continue our work. We need your help to continue playing your music and the music of the LGBT community. This is it. Our website is just the first casualty. If you value your music reaching an audience we need your support yesterday. You can make a one-time contribution or a monthly contribution. What began in October 2016 with the thought "What more can be done for the LGBT Independent Artist Community" had developed into a structure. On February 17, 2018 QLRadio went LIVE broadcasting music from LGBT Independent Artists. Our own radio station was not in the plan 16 days earlier. We were partnering with an existing source. It became quickly apparent that we needed faster and more control of this marketing tool. Voila'. 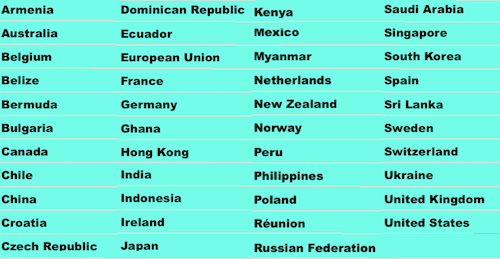 In our first year we have had visitors to QLRadio and our related websites from over 40 countries (See Image Below). Life for LGBT people in some of these countries is quite volatile. I'm excited by the thought that we might be a beacon of hope. -Not Weird, Queer - LGBT new music program. -Classical Sunday Nights - Music from the LGBT classical community. -New Music Minutes - Daily segment with the freshest music in the land. -Saturday Alive - Foot tapping Head bobbing music to keep your Saturday nights "Alive". Interested in promoting Quest of Life Media & Broadcast at your 2019 Regional Pride Events? PLEASE SUPPORT THE LGBT SINGER / SONGWRITER / MUSICIAN COMMUNITY AND CONTRIBUTE TODAY. This Corporation shall be organized and operated exclusively for charitable, arts, and to centralize fundraising, networking, marketing, and overall assist in easing barriers to production for LGBT Independent Artists. Subject to the limitations stated in the Articles of Incorporation, the purposes of this Corporation shall be to engage in any lawful activities, none of which is for profit, for which corporations may be organized under Chapter 65 of the Oregon Revised Statutes (or its corresponding future provisions) and Section 501(c)(3) of the Internal Revenue Code of 1954 (or its corresponding future provisions). We currently operate under a Fiscal Sponsor, Allied Arts Foundation, Seattle WA.